Almost $1 trillion for energy investment is likely in the Middle East and North Africa (Mena) region over next five years, a research report said. The annual Mena Energy Investment outlook report by Arab Petroleum Investments Corporation (Apicorp), a multilateral development bank focused on the energy sector, forecasts that the Mena region will see a number of critical energy projects pushed through over the next five years, despite the uncertain geopolitical backdrop. Around $345 billion has been committed to projects under execution while an additional $574 billion worth of development is planned, it said. The overall economic outlook remains similar to the forecasts estimated this time last year, with growth of around 3.2 per cent forecast for both 2018 and 2019. Global investment in the industry is expected to pick up and parts of the Mena region are expected to see a corresponding improvement in investment. Saudi Arabia is expected to lead the way. The uncertainty over the possible re-imposition of sanctions on Iran means that it may struggle to attract the foreign investment it needs to develop its industry. Iraq is also facing challenges, despite the improving security situation. 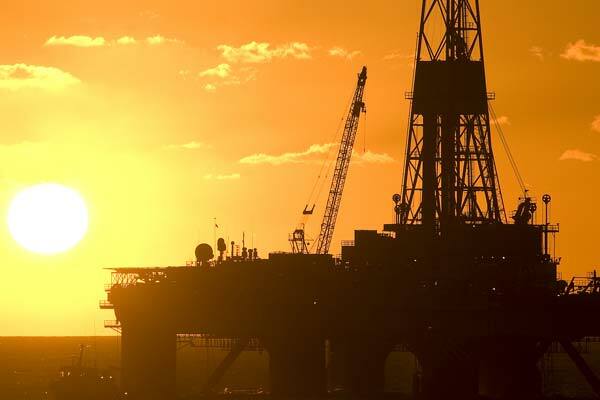 Saudi Arabia and the UAE represent 38 per cent of planned investments, with $149 billion and $72 billion, respectively, over the outlook period, as both countries look to boost their upstream oil and gas sectors. For Egypt, the main focus is ramping-up of gas production and meeting rising power demand. Planned investments in the country are $72 billion, with the power sector making up over 50 per cent of the total. Elsewhere planned projects in Kuwait stand at $59 billion over the same period, with over 50 per cent in the oil sector. More specifically, the country intends to increase oil output to 4m b/d within the next few years. Similarly, in Algeria planned projects stand at around $58bn with the Hassi Messaoud Peripheral Field Development accounting for a significant portion of investments in upstream oil. The country will seek to invest in upstream oil and gas to meet its target of increasing production by 20%. However, low fiscal buffers and competing pressures on revenue may impact Algeria’s efforts to execute its ambitious capacity expansion plans. Another challenge to growth is the rising cost of capital, as some governments will find it harder to attract foreign investment. However, supported by its high reserves, and low debt to GDP ratios, the GCC was successful in issuing record debt of over $50bn in 2017, surpassing the previous year’s record of $37bn. Saudi Arabia represents the bulk of this, with over $21bn of debt raised, followed by Abu Dhabi and Kuwait with $10bn and $8bn respectively. Oman ($8bn) and Bahrain ($3bn) also tapped the international market, the report says. 2017 certainly saw improvements and rebalance in the region. The period of weakest economic growth and oil prices seems to have passed, but the recovery phase will take longer and is not without its challenges. GCC governments have announced expansionary budgets following a few years of tightening expenditures because of lower oil revenues, and will prioritise critical investments in their energy sectors, it says.